Best Lawyers, the oldest and most respected peer-review publication in the legal profession, has named George Nassar, Jr. as the “Memphis Best Lawyers Tax Lawyer of the Year” for 2011. Mr. Nassar has over 20 years of legal experience in the areas of estate planning, probate, tax planning and business transactions. 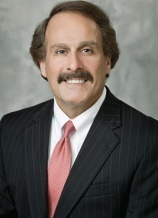 His area of expertise includes estate planning for individuals with international holdings, and formulating sophisticated tax planning and wealth transfer techniques for clients with significant assets. He counsels clients with respect to mergers and acquisitions and regularly structures and negotiates complex business transactions. In addition, Mr. Nassar represents business clients in disputes with the Internal Revenue Service and various state revenue agencies. Mr. Nassar frequently lectures on tax, business and estate planning topics for local and national organizations, such as the National Business Institute and various bar associations. He also serves as a Special Judge in the Probate Court of Shelby County, Tennessee. He has been elected as a Fellow of the American College of Trust and Estate Counsel and is a member of the Memphis Estate Planning Council. He has served on the Board of Directors of several charitable, educational and other non-profit organizations, including service as Chairman of the Finance Committee at St. Peter’s Catholic Church, as well as President of the University Club and a member of its Board of Directors. He also currently serves as Chairman of the Finance Committee at Glankler Brown. Mr. Nassar received his B.B.A. degree in accounting in 1977 and his J.D. degree in 1980 from the University of Mississippi. He received his LL.M. in taxation, with honors, from Washington University in 1981. Glankler Brown, PLLC is a full service law firm that has engaged in the practice of law since the early 1900s. With experience in more than 30 different practice areas, their attorneys consistently deliver quality legal services to local, regional and national clients.